The Defenders Mega-Sonic Cat & Dog repeller has a twin speaker unit which maximises sound output and coverage area to deter cats, dogs and foxes. A motion activated sensor detects and activates the sonic output. 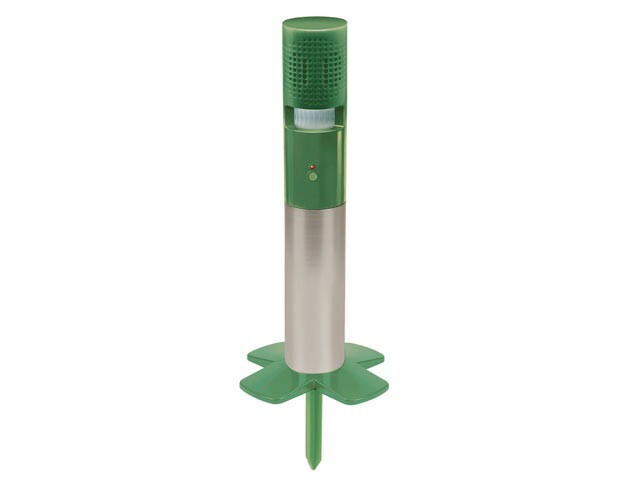 The repeller is easy to set up, with a ground anchor and adjustable stand height. It features push button testing with LED activation.